[SatNews] Europe’s first polar-orbiting meteorological satellite blasted into orbit from the Baikonur Cosmodrome in Kazakhstan on a Soyuz launcher on October 19, 2006, marking a new era of weather and climate monitoring for Europe. Since May 15, 2007, Metop-A has been delivering a continuous operational service from polar orbit, providing critical input to Numerical Weather Prediction (NWP) models, nowcasting of high impact weather at higher latitudes, and climate monitoring applications. The products extracted by EUMETSAT and its network of Satellite Application Facilities are surpassing expectations, in particular as regards their positive impact on the quality of NWP performed by the European Centre for Medium-Range Weather Forecasts (ECMWF) for up to 10 days, and by the National Meteorological Services for the shorter timeframes. “Data from EPS instruments have significant impact in reducing forecast errors, ranking high among all observation systems,” said Dieter Klaes, EPS Programme Scientist at EUMETSAT. The resulting improvements in forecasts increase safety of life and property and benefit European citizens and all “weather sensitive” sectors of the EU economy. Metop-A will be joined by Metop-B during the second quarter of 2012, when it is scheduled for launch with a Soyuz rocket from the Baikonur Cosmodrome, followed by Metop-C in 2016. 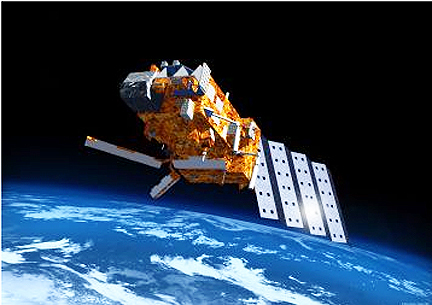 The Metop satellites embark a total of 11 instruments which are provided by EUMETSAT, the European Space Agency (ESA), the French space agency (CNES), and the U.S. National Oceanic and Atmospheric Administration (NOAA), and form the space segment of the EUMETSAT Polar System (EPS). EPS is the European component of the Initial Joint Polar System (IJPS) shared with NOAA. The three Metop satellites will provide continuity in coverage from polar orbit until at least 2020. “One of our strategic objectives is to optimise the deployment of remaining Metop satellites for securing data continuity while maximising the operational lifetime of the EPS system, and 2012 is the right time to launch Metop-B”, said EUMETSAT Director-General Alain Ratier. Fifteen years of continuity in data on temperature, humidity, cloud cover and atmospheric composition is indispensible for operational meteorology and climate monitoring and research. Continuity beyond 2020 will be provided by EPS Second Generation and its Metop Second Generation satellites. All Metop satellites are manufactured by a European consortium led by EADS Astrium under the supervision of a joint ESA-EUMETSAT team.